There’s one thing for certain, we believe in the power of GOOD DENIM. From style to fit, having a lineup of good jeans is simply essential for us fashion gals. With the crisp fall weather in the air, it’s the perfect time to make sure our denim game is ON POINT. With that in mind, we are sharing some denim styles you will want to try for the Fall season and giving a little bit of insight on just how you should style them! 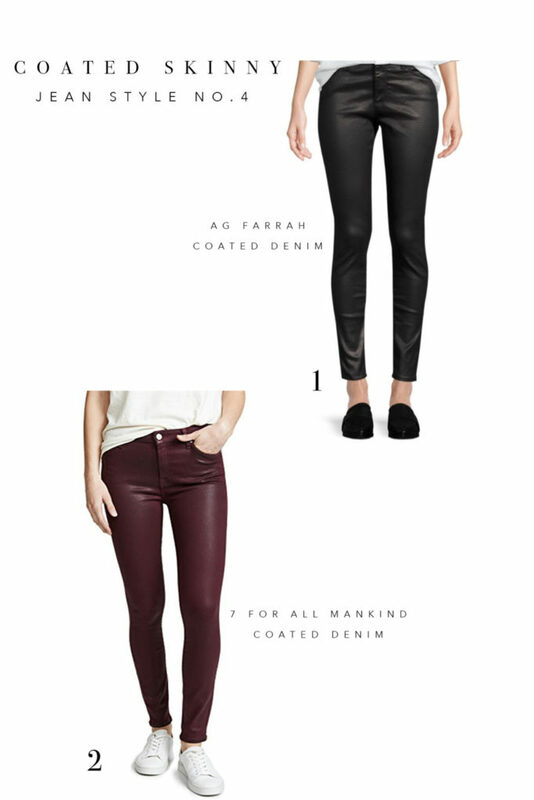 The high-rise skinny is no longer a trend, but a wardrobe staple! 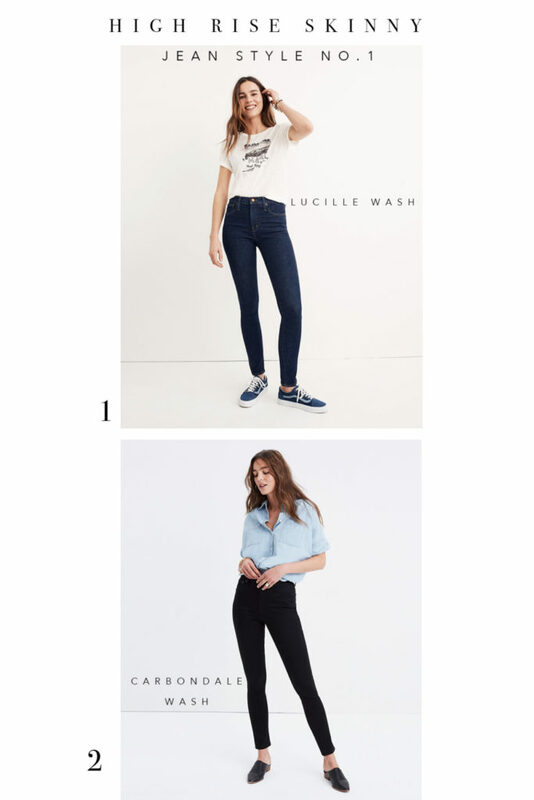 We love the 10in High-Rise option from Madewell in the Lucille Wash. The coloring is perfect for dress up, dress down, a night out on the town or a casual day in the office. This denim is so great, we suggest that you snag it in the Carbondale color too! And speaking of Madewell, we are majorly obsessed with this brand. When it comes to options, Madewell has something for everyone! From various rise options to varied inseams, it’s our version of Candyland, but for jeans. And oh yes, bring in a pair of old jeans and Madewell will give you $20 off your next pair! 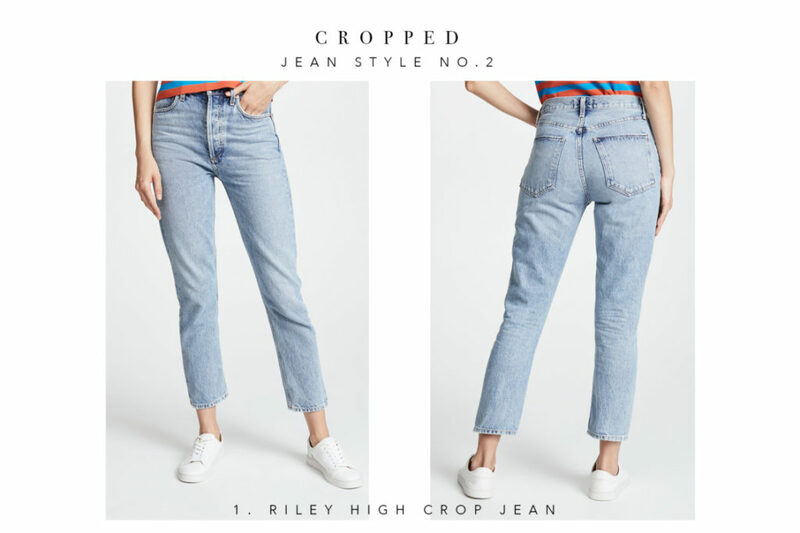 The crop jean is definitely this year’s novelty denim. From straight leg crops to flared crops, the options are truly endless this season! A crop jean paired with a chic ankle boot or fashion sneaker is always a good idea! Here are a couple of styles that are really speaking to us! This vintage light wash, straight leg mom-esque jean is perfect for a laidback, yet elevated fall style. You can pair this denim with a mockneck, a great moto jacket/blazer and you are ready to go. One of the notable details is that it is high rise with a button fly. When styling, you are definitely going to want to tuck (full or half, whatever your vibe is) your top and show off that waistline. Finish off the look by adding that Gucci belt and a killer boot like this one from last week’s blog! 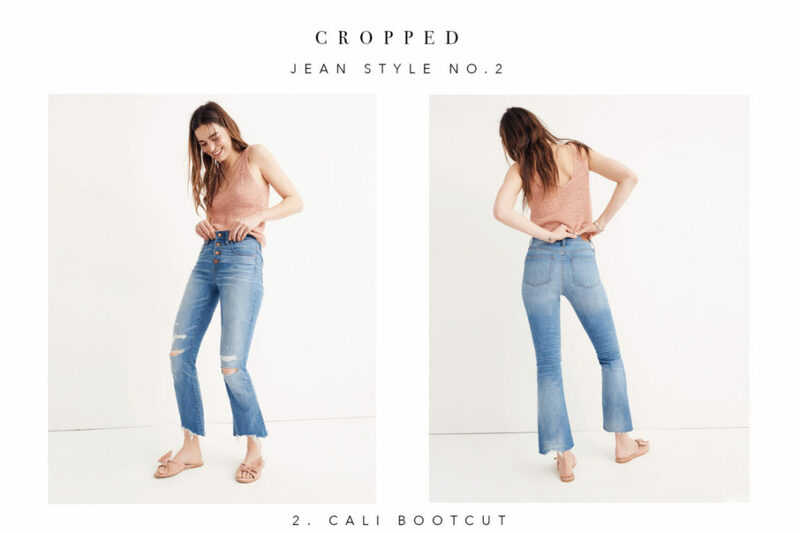 Not loving the idea of the straight leg crop so much? Not to worry, because we love this flared one from Madewell! The style is fresh and can be worn with all the shoe options…from heels to flats, you are good to go. This jean has a button fly and is fitted through the hips and thighs. Your approach to styling this denim will be very similar to the idea above! Again, we love the idea of tucking, as it is nice to see that waistline. If tucking isn’t your jam, we need to be mindful of detail! Open neckline and perhaps a long necklace! Boyfriend jeans are indeed still a thing! 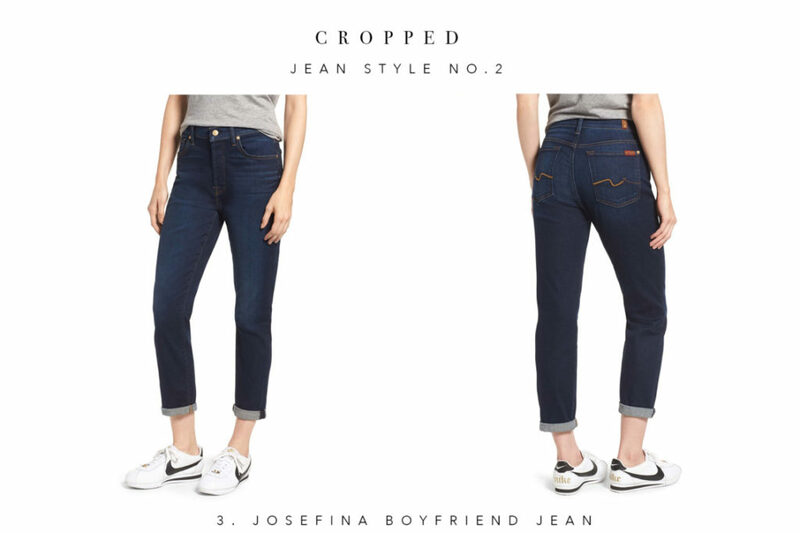 The boyfriend denim is that happy medium between the two denim styles listed above. It’s nice and cozy and really appropriate for that gal who wants a true laidback vibe. With boyfriend jeans, we love the idea of an easy v-neck and a heavier cardigan paired with your sneakers. There’s just something amazingly chic about a full leg bootcut (aka the flare) jean! It’s one of those jean styles that instantly makes you chic. 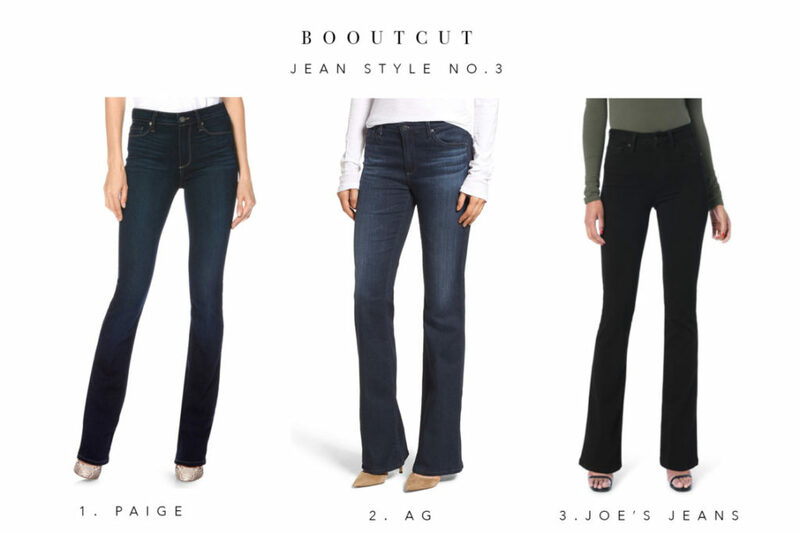 When it comes to bootcut, this style is great for when you desire a bit more of a polished look. You can wear it for a nice dinner out or purpose them from the office the same way you would wear your trouser pant. This is most definitely the denim you are going to wear with a pump or any other pointed shoe option you might have. Opt for a dark wash (blue or black) when shopping. Also, we suggest that you reach for the more subtle flare leg options, rather than the dramatic oversized ones. Shopping with these notes in mind will ensure that you have bootcut jeans that will stand the test of time! P.S. Bootcut denim is a great way to achieve the western trend that is happening right now! Coated denim is having the best of both worlds…you have the idea of leather but in the form of denim! Having this option is simply great for variety! The beauty is that you can purpose this pant a bit more like a standard pant, since it is coated. You can wear this style casually with a graphic tee, blazer and a cool loafer for work or you can make it super feminine with a silk blouse and a killer pump. Candace graduated with a degree in Dance from Valdosta State University and a masters in Luxury and Fashion Management from Savannah College of Art and Design. Candace’s recent endeavors include working with New York City Ballet, Kandice Pelletier Swimwear and Sherri Hill Designs. In addition to styling clients, Candace has curated a style blog, www.candacemread.com, which has opened the door to her being recognized as a top style influencer in Ohio's capital city of Columbus. Candace lives in Columbus with her husband Jason. Sign up to receive our style finds and fashion news straight to your email.